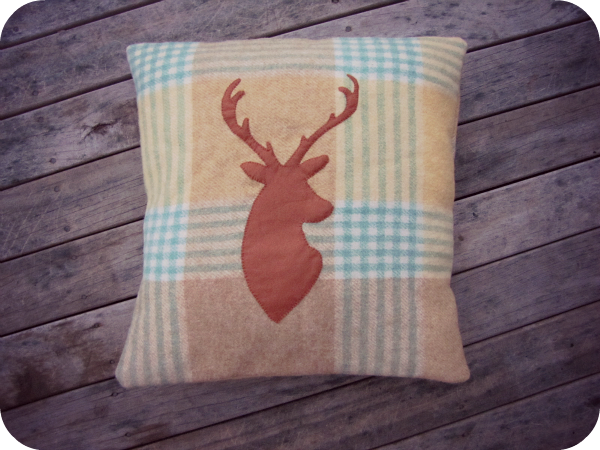 I finished this deer cushion cover this afternoon from the recycled woollen blanket I bought a while back - and I am so loving the deer!! Thank you so much to everyone who gave advice re easy zip/opening options for my cushions. 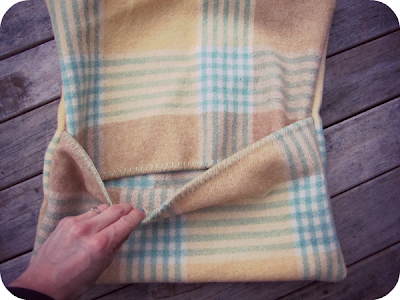 I took your advice and tried the envelope opening using the blanket binding that was already there and found it such a simple and great way to do a cushion cover. This is the youtube clip that I watched before I got going - make especially for any novice seamstresses out there like me! 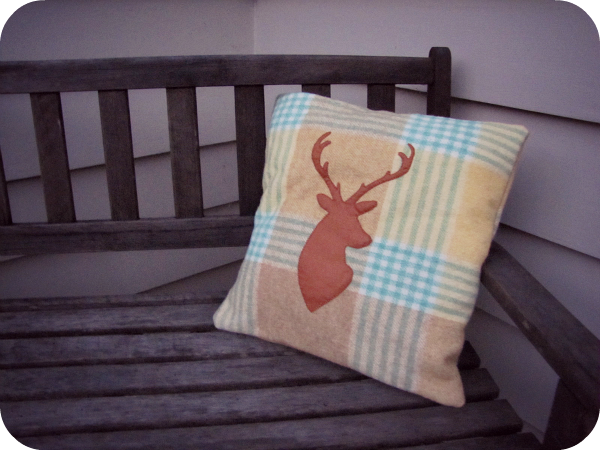 Go here to check out my other cushion covers and recycled creations! I Love it! and that blanket is gorgeous! 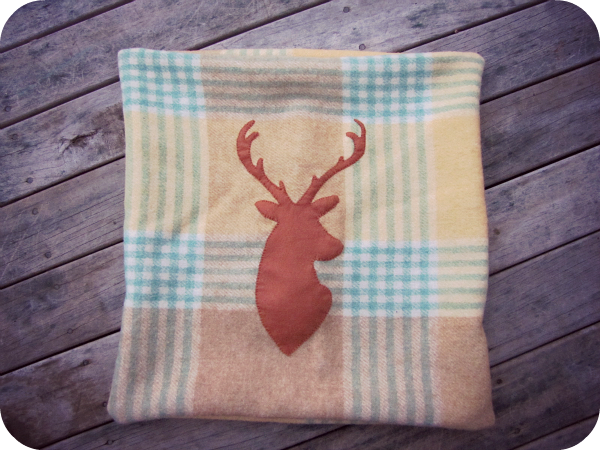 I may have blanket pieces you can have. Just finished doing the hottie project with the kids at K's school. Will check the bag in the garage and let you know. its gorgeous! Im loving these! !